The Triad Mythos, The Three Magi or The Three Stars in Leo? Someone on my page I Don’t Care If Anyone Reads This brought up a few interesting thoughts about these hurricanes hitting the United States. He (Larson Messenger) first mentioned the Orions belt connection to the three hurricanes Irma, Katia and Jose. 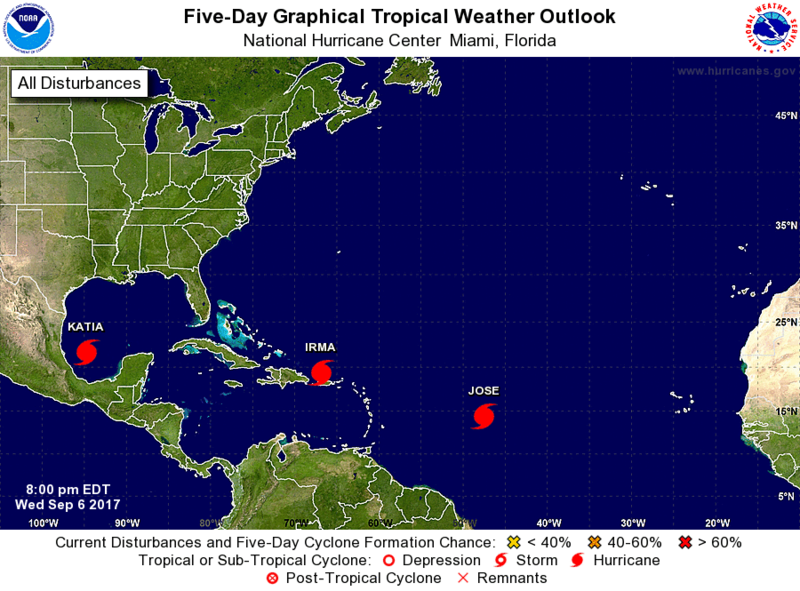 The placement of these hurricanes is reminiscent of orions belt. He then brought up the Osiris triad mythos. 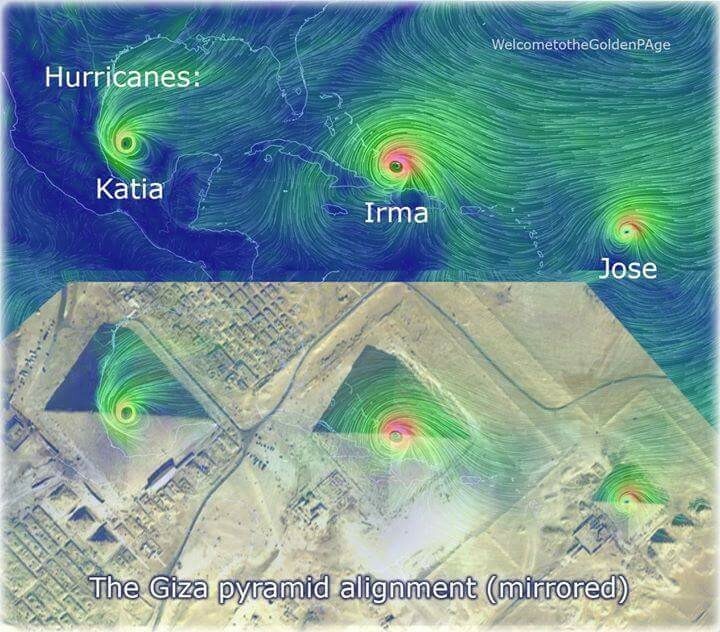 It made me think about the connection with the names Osiris (Harvey), Isis (Irma) and Horus (Jose or Joseph in English). Here is his comment. “My first thought on hearing about the three hurricanes was that they were Orion’s Belt, or the family of Osiris, Isis, and Horus. But now that I think about it these are probably representative of Mercury, Mars, and Venus”. 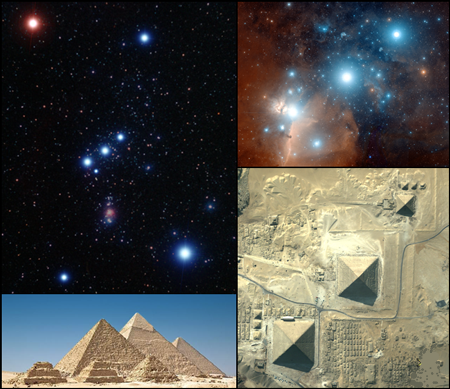 What is interesting about Orions belt is that it means a weighing beam or accurate scale beam. In light of me saying that this is a form of judgement whether its from the hand of GOD or performed by man, its a form of judgement. 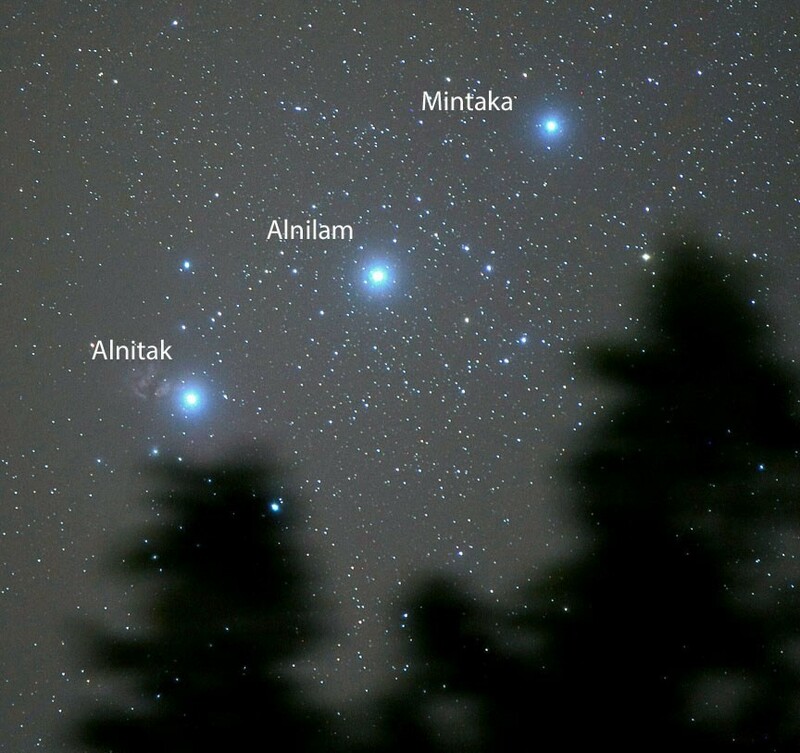 So the Orions Belt seems to be an interesting fit especially with the placement of the hurricanes and where orions belt is in the sky. The next interesting connection here is the Three Kings or Three Magi reference. Obviously we know that this represents the magi that went to see Jesus after He was born. 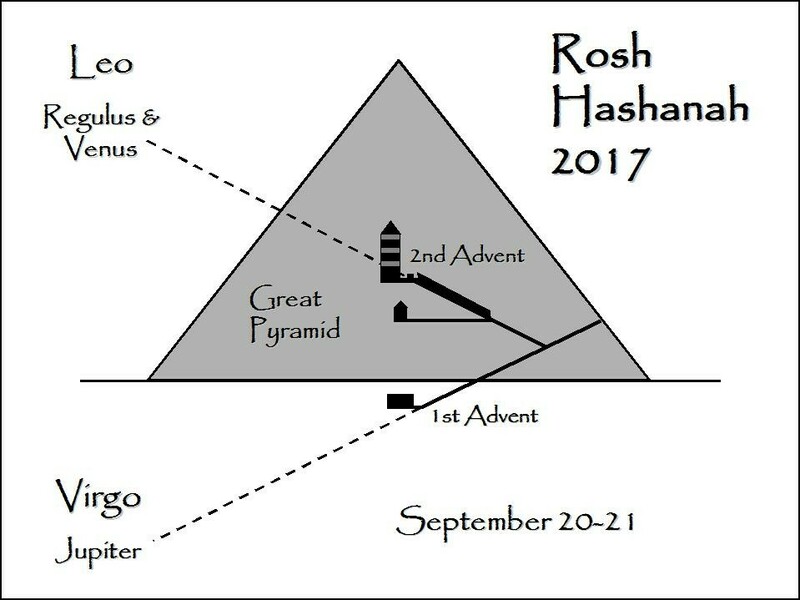 You can also see these three magi showing up again at the door step of America who has proclaimed this false September 23rd sign. Are they coming to proclaim their false king? 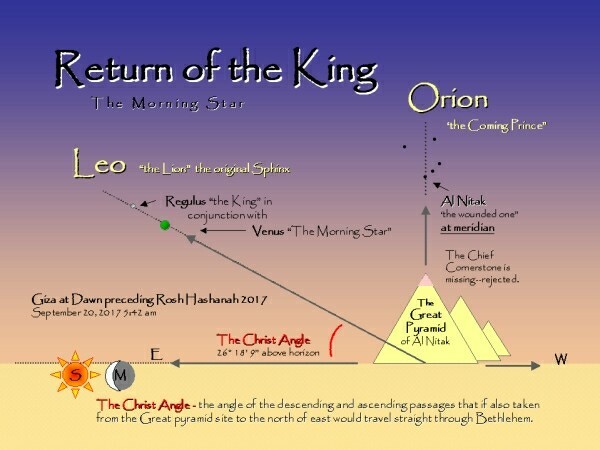 Don’t forget about the pyramid connection to Orions Belt called the christ angle on September 21st that these people are waiting for. When looking at the Osiris myth connection you can see the obvious with the father, mother and son. You have Osiris (Harvey), Isis (Irma) and Horus (Jose or Joseph in English). The one name that can indirectly be connected to this name game is Irma. “The Category 5 hurricane bearing down on the Caribbean and Florida would have been called Irene just a few short years ago. 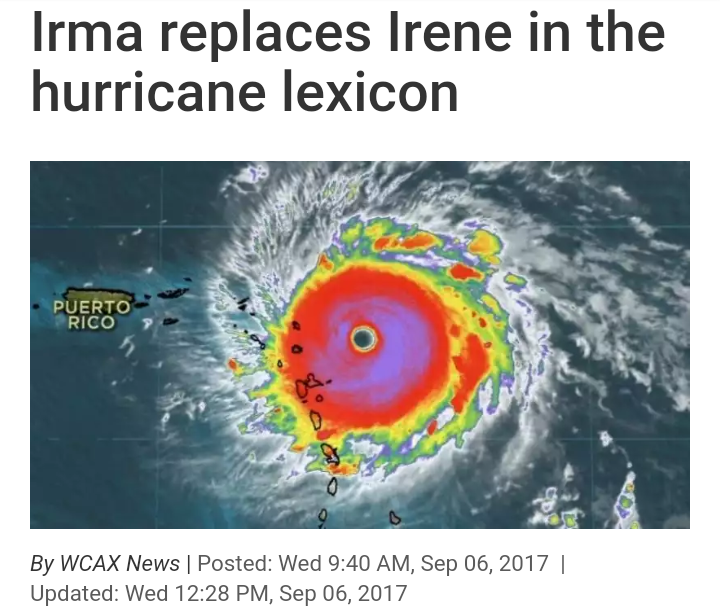 Irma is the replacement name for Irene, which was officially retired in 2012 after the devastation the storm caused in Vermont and the region. There is a strict procedure established by the World Meteorological Organization for the naming of storms, according to the National Oceanic and Atmospheric Administration. For Atlantic hurricanes, there is a list of alternating male and female names which are used on a six-year rotation. In the event that more than 21 storms occur in a season, they switch to the Greek alphabet. 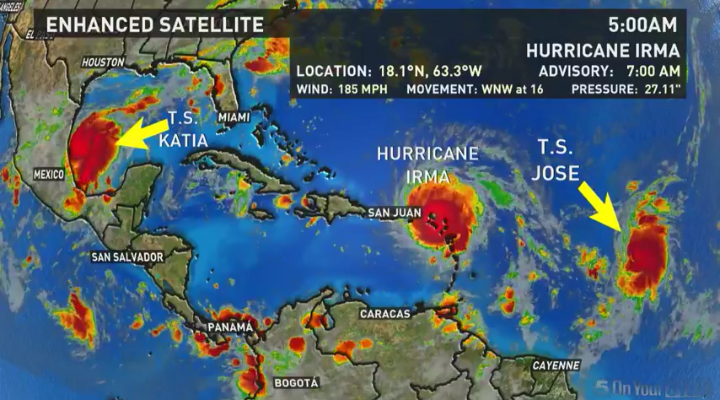 Irma is currently on a path toward Puerto Rico, the Dominican Republic, Haiti and Cuba before possibly heading for Florida over the weekend.” (http://www.wcax.com/content/news/Irma-replaces-Irene-in-the-hurricane-lexicon-442872993.html) Irene was a goddess of spring who represents Isis. The other 2 connections are based on the father and son. The last thing I want to look at is his Mercury, Mars and Venus connection to Katia, Irma and Jose. The placement of these two signs is uncanning. Here are the connections to these planets. Katia means virgin. The virgin constellation is Virgo who’s ruling planet is Mercury. Irma the goddess of war was married to Mars according to mythology. 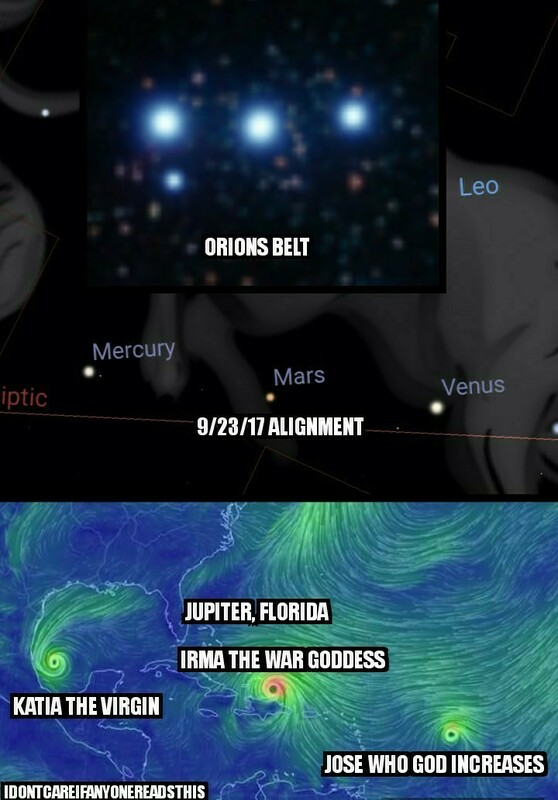 So Irma was the wife of Mars, the god of war. And finally you have Jose or Joseph in English. Read what Deuteronomy says about Joseph. Deuteronomy 33:16 And for the precious things of the earth and fulness thereof, and for the good will of him that dwelt in the bush: let the blessing come upon the head of Joseph, and upon the top of the head of him that was separated from his brethren. 17 His glory is like the firstling of his bullock, and his horns are like the horns of unicorns: with them he shall push the people together to the ends of the earth: and they are the ten thousands of Ephraim, and they are the thousands of Manasseh. This could be describing the constellation Taurus with its two horns of Ephraim and Manasseh. And according to astrology Taurus is ruled by Venus. So according to scripture, astrology and mythology there seems to be a conection with Katia and Mercury, Irma and Mars and Jose (Joseph) and Venus. Not only that, the placements of them is much like Orions belt. Who would’ve thought? So just maybe this is the beginning of the scales of judgement from Orions Belt hitting the South of the United States? Maybe its the “three magi” proclaiming this false king to be born on September 9th? Are we seeing what is happening spiritually manifesting itself in the physical? We may just be. And its not looking good.